In a city where it can be hard to go a day without seeing a homemade tall bike, a mini-bike parade with a boombox blasting ’80s hits, or a group of elite cyclists whizzing past you in branded clothing, it can be easy to think you’ve seen everything under the sun …er, clouds when it comes to bicycling. That’s how it felt to Adnan Kadir, a competitive cyclist and professional coach. Kadir is an elite cycling coach at the top of his class (USAC Level 1). There are fewer than 200 coaches in the U.S. at this level, and he is the only one in Portland. About a year ago, Kadir was having dinner with his friend Robert Vizza, who is also active in the cycling world. Vizza is a software architect and developer who had just moved to Portland from Silicon Valley, looking for a change. 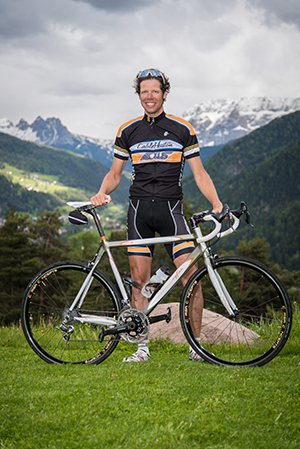 Kadir mentioned his desire to do something different with training software for cyclists. Kadir was using a program called TrainingPeaks to help create training plans for his athletes, but after 5 years he didn’t feel that TrainingPeaks was keeping up with technology and the needs of the cycling world. Vizza called him two days later and said, “we should do this”. Kadir and Vizza got to work. Vizza took over the technical end of things, and Kadir managed the marketing and PR. They brought a mathematician in from a high level university to help them write the tricky bits of code, and eventually brought another team member on board, Jerry Hart. VeloPro LLC, a subscription-based software, was launched about a month ago. Kadir describes it as a “dynamic, online training system for cyclists”. It is the only dynamic training program available in the world. Here’s how VeloPro works. You put this thing on your bike called a power meter, which measures your power output as you ride. At the end of your ride, you upload information from the power meter to your computer. (Soon VeloPro will allow you to directly stream to your mobile device as you’re riding.) Through your subscription with VeloPro, your training is completely customized every time you upload new data. Sometimes, people ask Kadir if he’s trying to put coaches out of business. Being a coach himself, his reply is that creating and monitoring training plans is only about 10 percent of what he does for athletes. He thinks VeloPro will “free coaches up to do the real work of coaching,” which he sees as problem solving, technique building, and working around injuries. VeloPro will be releasing a suite of extended services in the coming months to make their product even more unique and fun to use. Besides plans to add a coach’s interface that will allow coaches to keep track of many athletes at once, VeloPro will be adding a social component to their software. 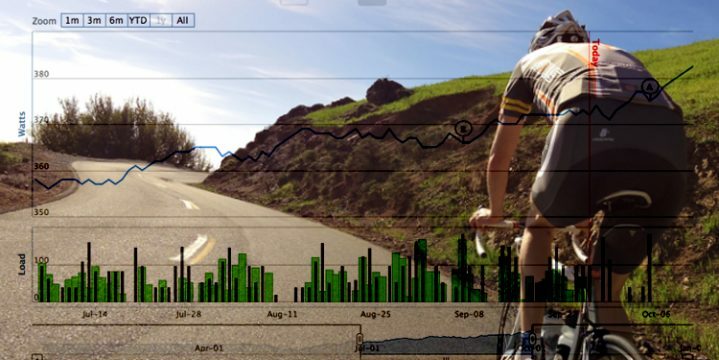 Cyclists will be able to find each other based on their power-to-weight ratio, their similar goal types, and goal dates. In other words, if you want to find someone near you to ride with, you can find other VeloPro users who match you in speed, strength, and types of rides you’ll want to do. “Competition doesn’t build community,” says Kadir. He’s hoping that this social component of VeloPro will unite competitive cycling communities in a new way. Mercy Strongheart grew up in Northern New Mexico. The child of radical, hippie folk musicians, she spent her childhood making up stories and searching for sugar. Mercy is currently working on her second novel and writing freelance articles about things she likes, including hiking, bicycling, health, and watching extreme sports from afar. She has also been a Licensed Massage Therapist for the past 13 years (hence her know-it-all fitness articles). She lives in Portland. WHL Power Rankings – Week 6: Are the Winterhawks Turning Things Around?